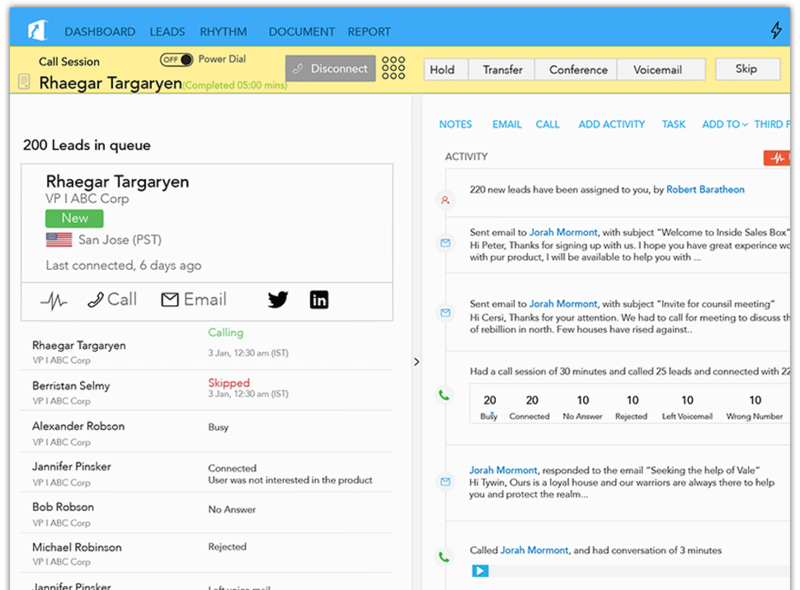 Sales Dialer to Power Up prospecting. No more wasted time. 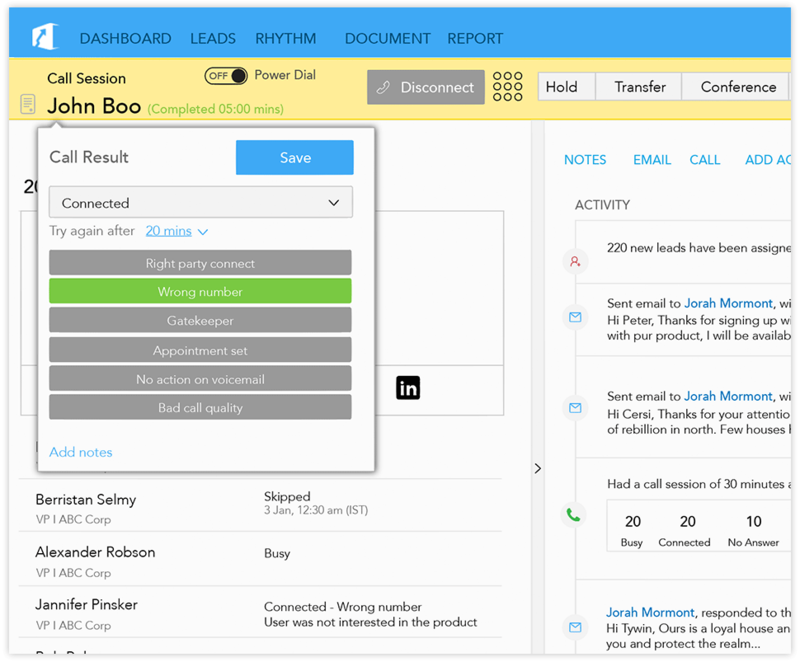 Talk to queued up leads without manually dialing each lead with our power dialer software. Simple. Power Dial with no breaks in the call sequence. Send follow-up emails after the sales call. 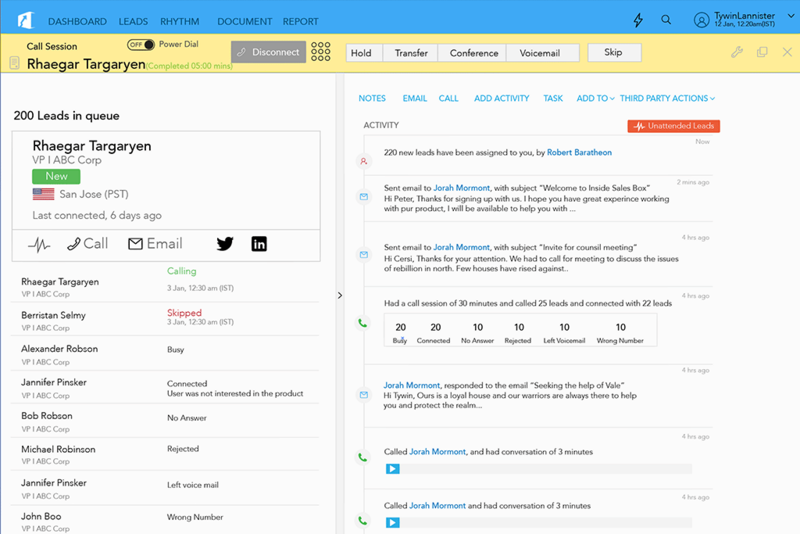 It enables SDRs create a combination of calls and emails to close more deals. Get access to any and every channel through Omni. 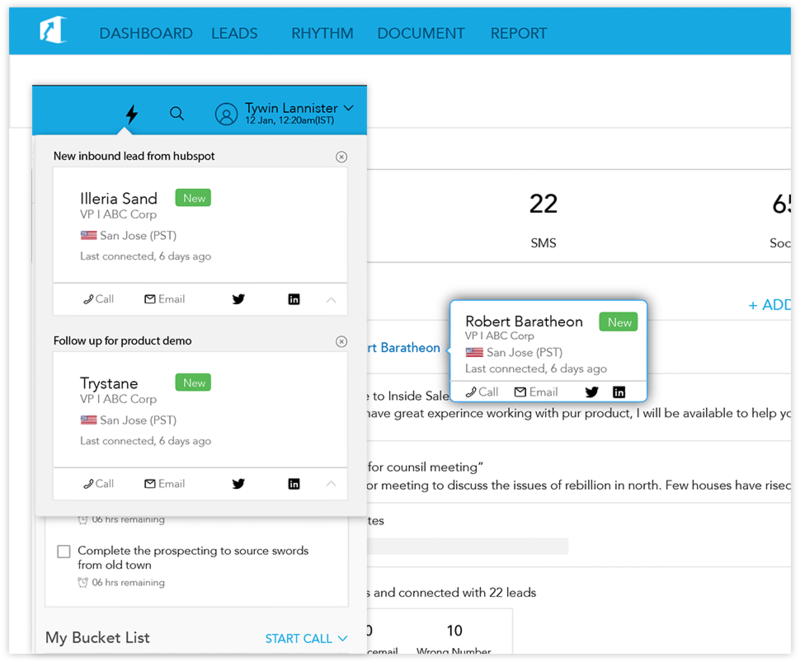 Call contacts from Gmail, CRM or InsideSalesBox, without any distractions. Inside Sales Box offers redials after call drop. 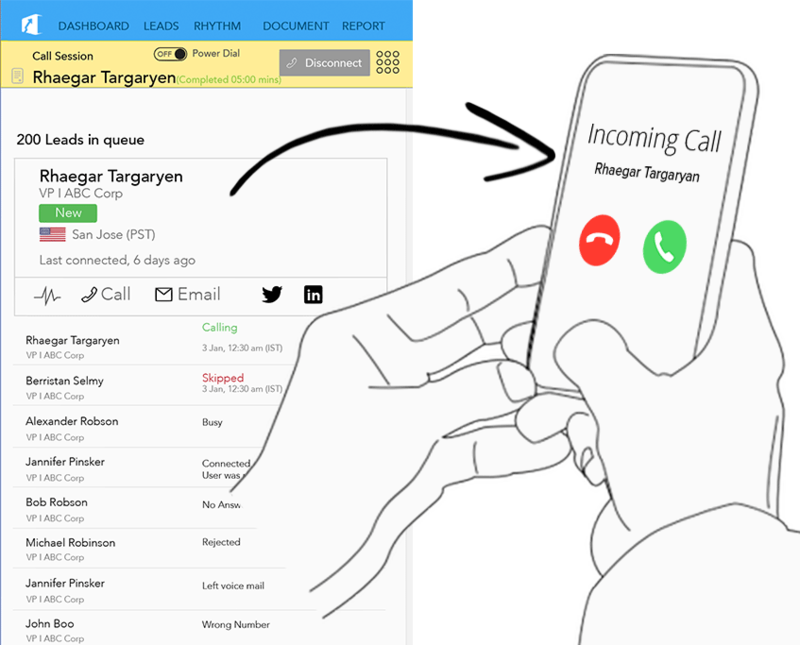 This helps sales reps recognize if the lead is still available or the call was dropped deliberately. Track all calls (successful / unsuccessful), call drops and remaining call incidents, to determine conditions for successful calls. 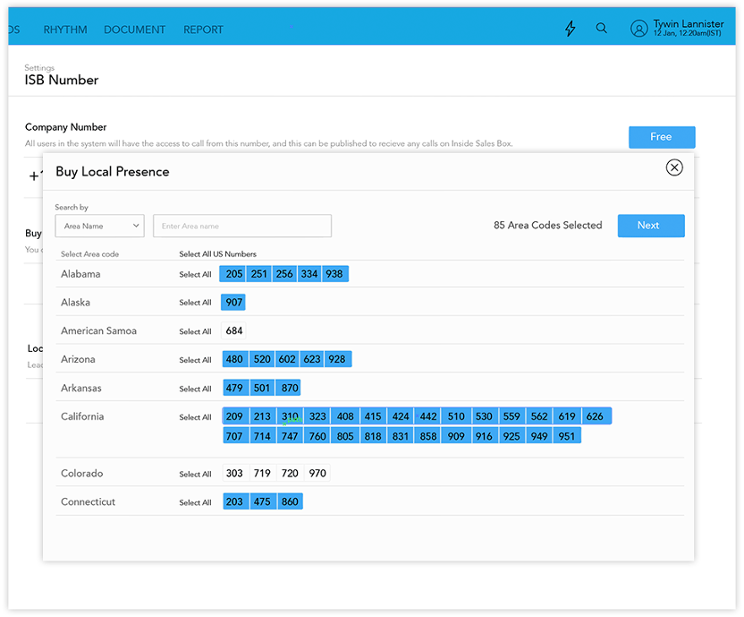 Measure the team or rep-wise call analytics. Ensure effectiveness and quality of the calls made by sales reps.
Don’t just ‘leave a message’ after the beep; drop smart scripted voicemails with CTAs that encourage actions. Enhance rep productivity with the best power dialer software & voicemail drops. Call with a local Caller ID and greet them according to their time zone. Get automatic call recording output for compliance, training, quality control and analytics. 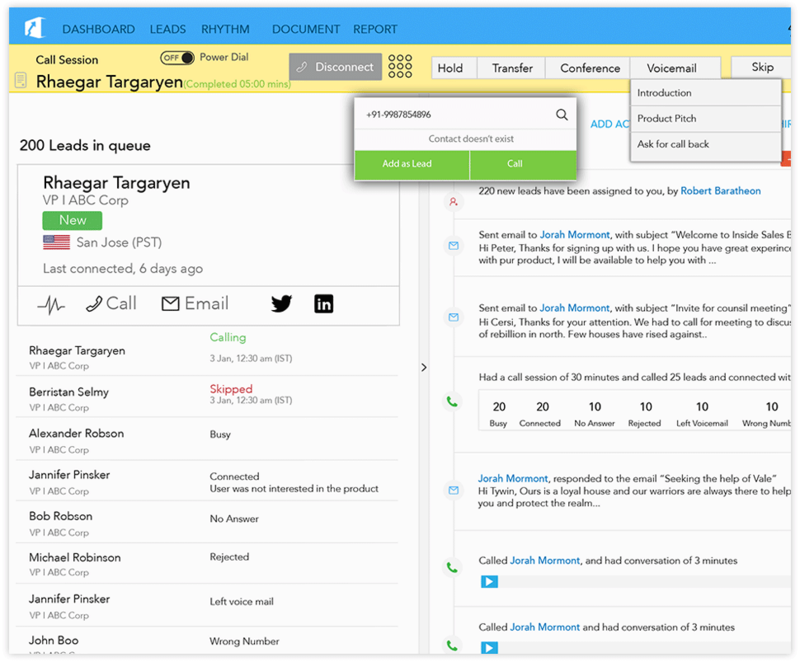 Log calls automatically to CRM and listen to every call. You can also add recording URL into the CRM. Real time coaching was never that easy. Now, Huddle allows an SDR to share voice logs with the team in the presence of a sales manager to coach the team.